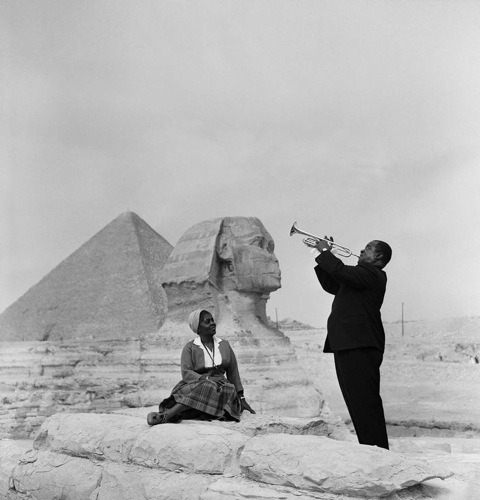 Louis Armstrong, the great Sachmo, was the world's most celebrated horn player. No one knew him better than the horn he played, the one he finally was able to buy from the pawn-shop. So, who better to tell the story of Louis's life than his beloved horn? His horn becomes the voice of the narrator in one of the most entertaining biographies ever written, Play, Louis, Play: The True Story of a Boy and His Horn. When Louis Armstrong was a child, life wasn't easy, but this young man was not a complainer! When he had nothing else to eat, he ate beans and fish heads and was glad to have them. When his father deserted him and his mother left him with Grandma, Louis helped her with the wash she took in and learned to love music through hymns he sang every Sunday at church. When kids called him names like "Sachelmouth," "Dippermouth," and "Fish Face," Louis bragged that he would keep all of the nicknames he could get because "a good nickame is hard to find." When his mother got sick and made him leave his Grandma to take care of her, Louis was sad but loved to help his mother and treasured the trust she had in him. Louis always found something good in the bad that surrounded him. His optimism and hard work were rewarded by the admiration he received from those around him. How did he finally get enough money to buy his first horn from the pawn-shop? Why did he shovel coal all day and sing in a quartet with four other kids all night? What did he do with his "perfect pitch"? Why did he get arrested? What happened later when he found a gun and shot it in the street? What kind of music did he create? Why did people love him? His songs and music were always fun of joy and his feet never stopped tapping. You'll find all of these answers and many more in this clever biography told by his horn. Play, Louis, Play: The True Story of a Boy and His Horn is one of the best biographies we have ever read and will be loved by children and adults of all ages. We here at Kids Wings believe that Play, Louis, Play: The True Story of a Boy and His Horn, is one of the best biographies ever written. It has depth of the characterization, a fun point-of-view, and an inspiring story about the love of music and a work ethic that will provide a model to a growing generation who will themselves face hard times! An excellent choice for Black History Month! The Kids Wings unit will provide fun and interaction through puzzles, group projects, an original readers theater script, problem solving that builds skills, and a Jeopardy-type game for the whole class to enjoy at the end. Play, Louis, Play: The True Story of a Boy and His Horn is an important part of every classroom and school library! Hey, Kids! Meet Louis Armstrong! A Kids Wings unit, perfect for lesson planning and handouts or projection on your SmartBoard for Play, Louis, Play: The True Story of a Boy and His Horn is now available for instant download! Thunder Birds is one of the literature guides in the terrific Reading Out of the Box Collection that comes in a spiral-bound book with CD in its back pocket. 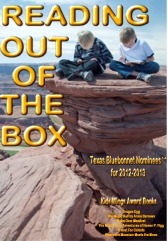 It contains 25 literature guides for award-winning novels and intermediate-level picture books. Order Reading Out of the Box while supplies last and you'll only pay about $1.40 per unit. You'll save money and have a great collection of ready-to go lesson plans and activities for the year that will make your class cheer. Buy Play, Louis, Play: The True Story of a Boy and His Horn by Muriel Harris Weinstein NOW! Kids' Wings® has created outstanding activities for each novel, units which provide the latest in integrated curriculum. Your purchases through the Kids Wings Bookstore and Amazon Links help to keep our website doors open! ©2012 Kids' Wings. All Rights Reserved.